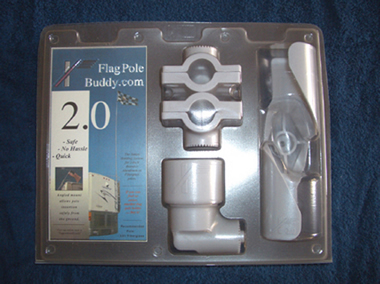 22' Extended Flagpole Buddy Kit w Flag - Great for your RV! 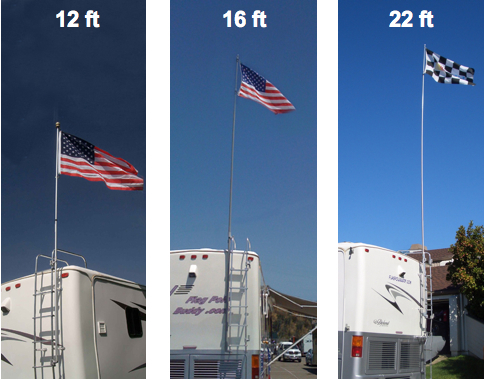 The Complete Flag Pole System! There's Nothing Else Like It! 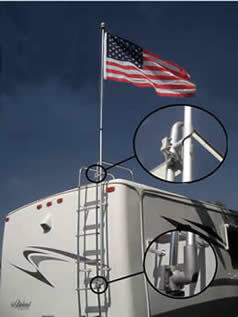 Are you tired of climbing up your RV and spending hours trying to get your Flag up, only to find that it's not sturdy enough to stay up to winds? NEVER FRET AGAIN! 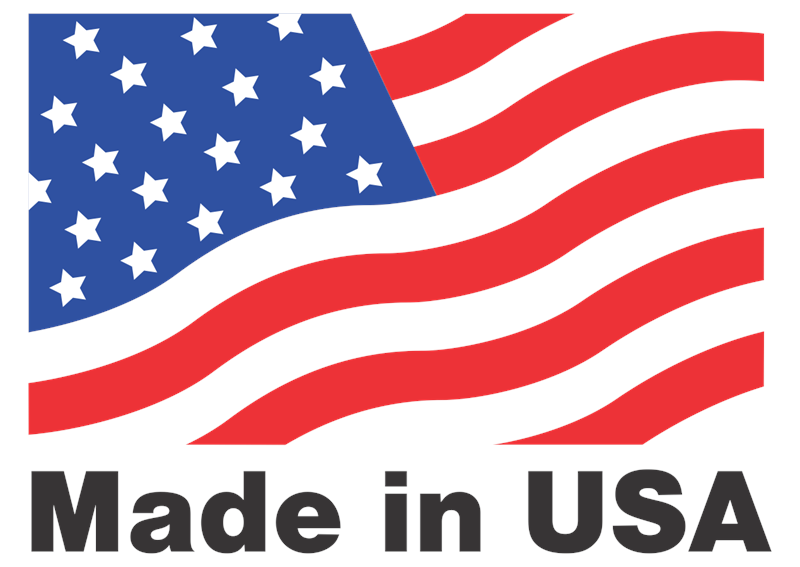 After the quick installation, you can easily put up and take down any flag of your choice in a matter of seconds! Not only is it quick, but it is super sturdy and stable. It has been tested and built to withstand even the harshest desert winds! The key to this system is the patented pivoting "twist" holder that mounts near the top of the ladder. 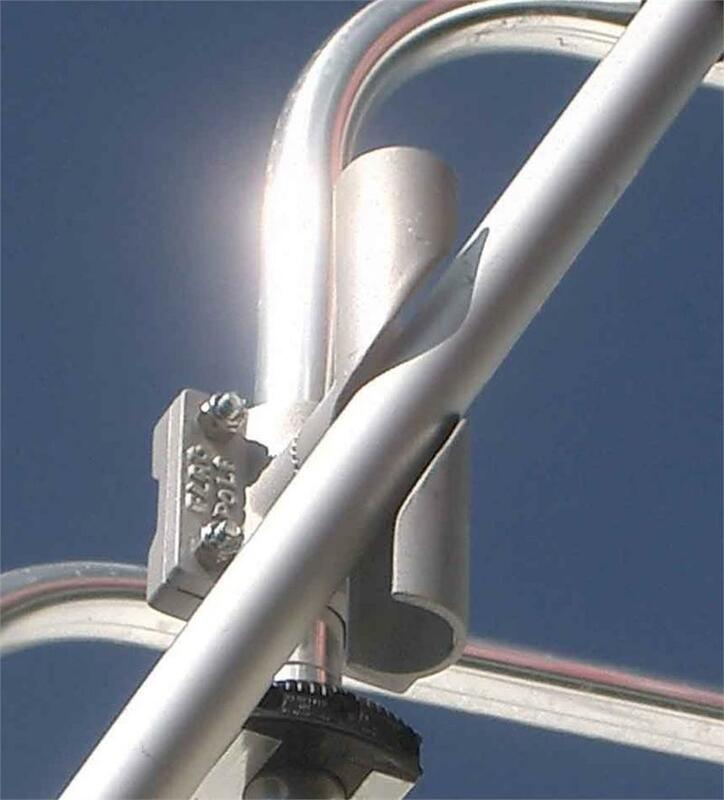 This mount allows the pole to be installed from ground level and provides a sturdy support. 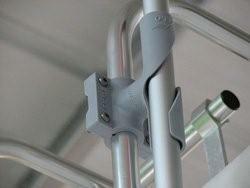 The lower cup mount secures the bottom of the pole. Because the pole isn't clamped to the ladder, it is free to rotate with the wind. 1) Insert the flagpole with the flag attached in to the top bracket and push up. 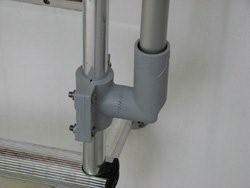 2) Push the pole down into the bottom mount, and you are done! Do yourself a favor and get yourself a Flag Pole Buddy and save yourself tons of time and trouble. Created and built by an RVer for all RVers around the world! 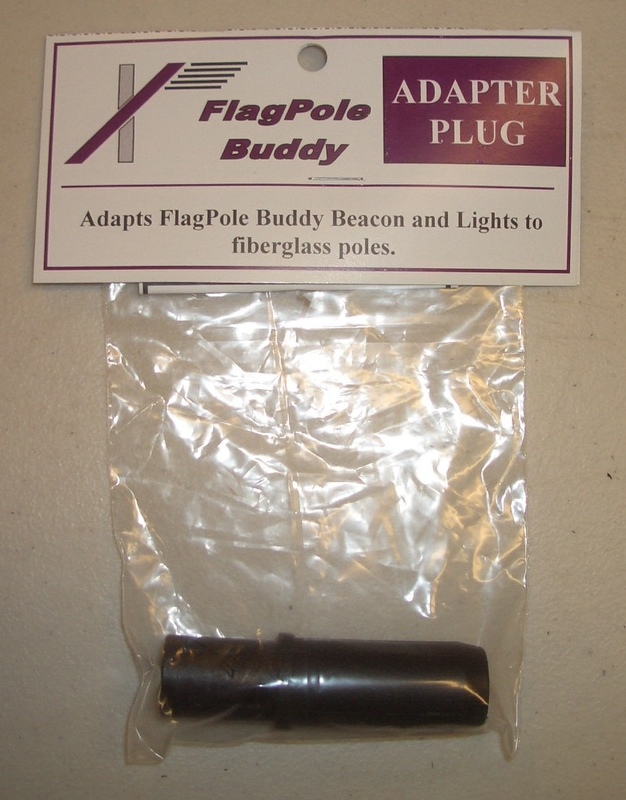 Flagpole Buddy Pole Top Adapter For 16' And 22' Kit. 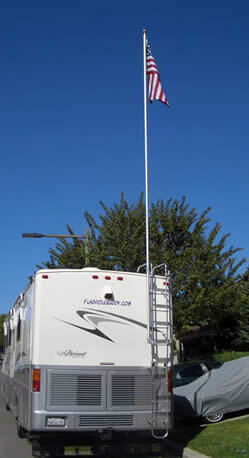 Allows you to use the Pole Top accessories, such as color changing globe and beacons on the 16' and 22' extended kit.